There's breaking news to report coming out of Chicago's Mercy Hospital, where it appears a gunman armed with an assault rifle has opened fire shooting a police officer and two women, reports say. Mercy is located in Bronzeville near the intersection of 25th and Michigan Avenue and has one of the nation's largest number of patients in any hospital. An eyewitness says that he saw a man arguing with a woman inside the facility after 3:00 PM when he pulled out a gun and opened fire on the woman, critically injuring her. At least one police officers were struck by gunfire and later transported by first responders to a nearby level for emergency surgery. 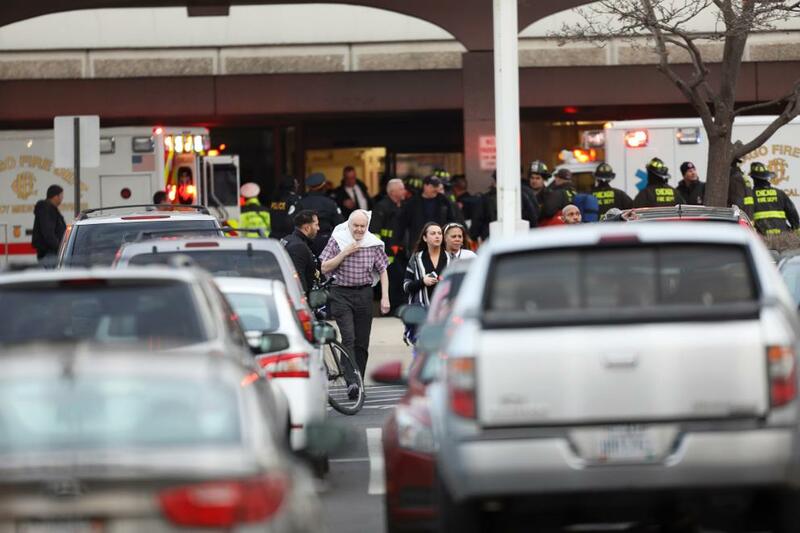 The gunman was later shot and is now confirmed dead along with two other fatalities. The scene around the hospital is described as being gore-filled with chaos. It remains unknown if the suspect shot himself or was killed by police, but we will update this story as new information is released. The article says he had an "assault rifle" but it's a safe bet he did NOT have an assault rifle. At most he might have had an AR-15 which is not an assault rifle. The media have been trying like hell to meme ARs into being assault rifles. The fact that he was able to conceal his firearm would also argue against it being an AR. It may have just been a pistol. If so then this is a serious escalation of the lying media's campaign to demonize firearms. 4 people dead. Shooter Juan Lopez dead. Shooter's fiance Dr. Tamara O'neal dead. Police officer dead. Note the Name and Caliber of Firearm are never mention in this write up . So me being me dug for additional Info. ——-→ IRONY ←—— at its best…. ABC Ch7 (Chicago) agrees and shows a Pic of a weapon with a empty round stove piped in a what looks to be a S&W 9mm. We get enough bad press with the constant mis-application of "Assault Weapon"
please up date the headline and article. Noted the Name and Caliber of Firearm are never mention in this write up . So me being me dug for additional Info. We firearm owners get enough bad press with the constant mis-application of "Assault Weapon" could you please up date the headline and article? My apologies for the double posting. The Web Site kept say OOPS Article not found and etc… then stated Flood detected and other 404 type issues.